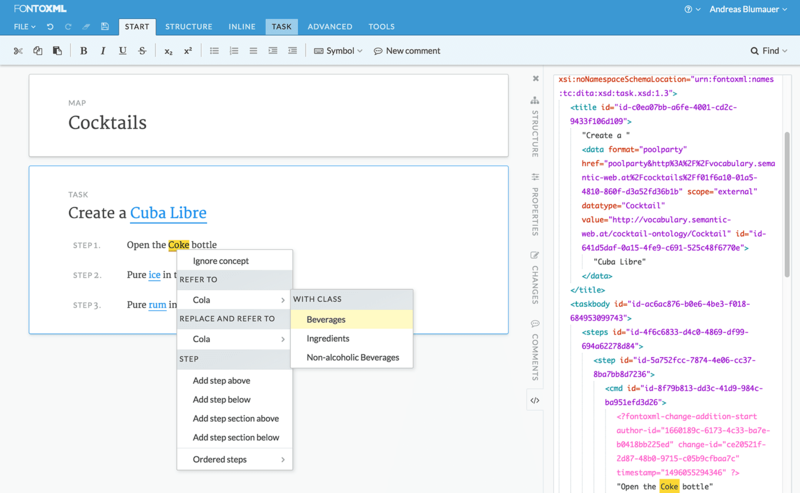 Structured content meets taxonomies and controlled vocabularies. Benefit from XML, DITA and semantic technologies as a combined PowerPack. FontoXML: FontoXML helps subject matter experts to create structured and highly intelligent content. 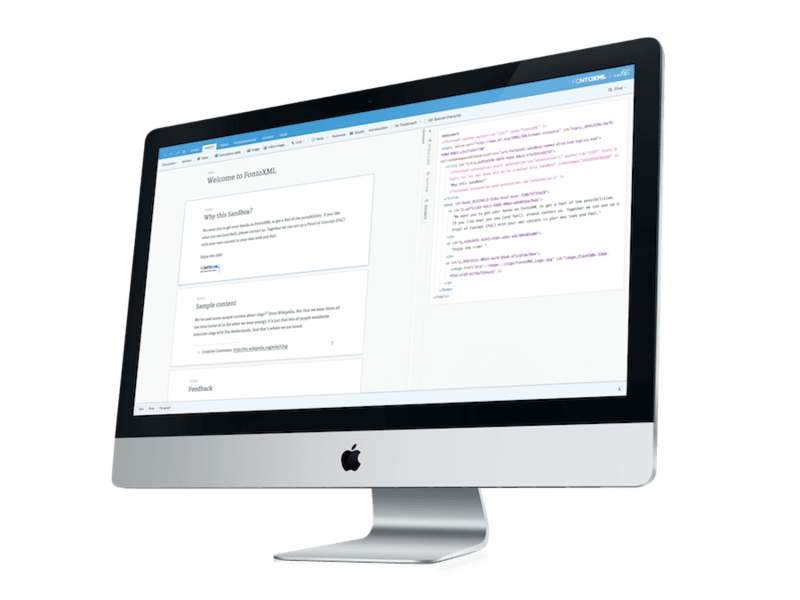 Intuitive authoring tool: Support people with no knowledge of XML or any other technology that comes with structured authoring. Increased productivity: Productivity and content quality can be increased by providing authors with user friendly tools. Integrated Semantics: FontoXML and PoolParty are an integrated solution for highly consistent and granular content. Semi-automatic Tagging: Make your content actionable! Embed business objects into your documents. Integration of Business Vocabularies: Benefit from consistent language used throughout your repositories. DITA + Taxonomies: Technical documentation of the finest quality. Link structured content to your knowledge graph. Semantic Knowledge Bases: FontoXML and PoolParty are the tools to create smart knowledge bases and intelligent help desks. Ian Piper from Tellura gives further insights into the integration of FontoXML with PoolParty. Learn how you can benefit from it!